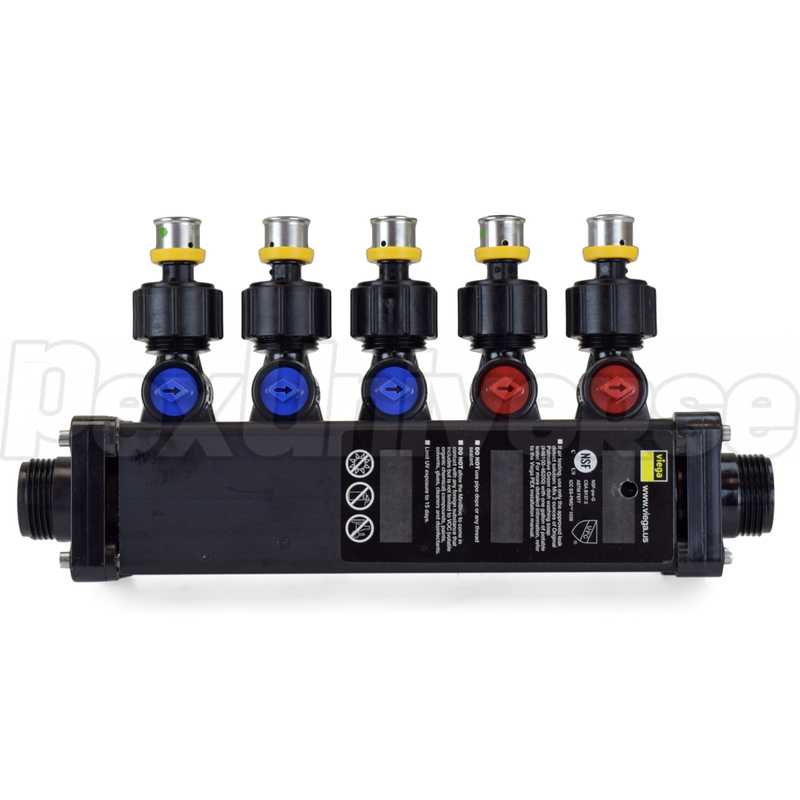 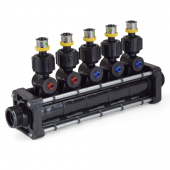 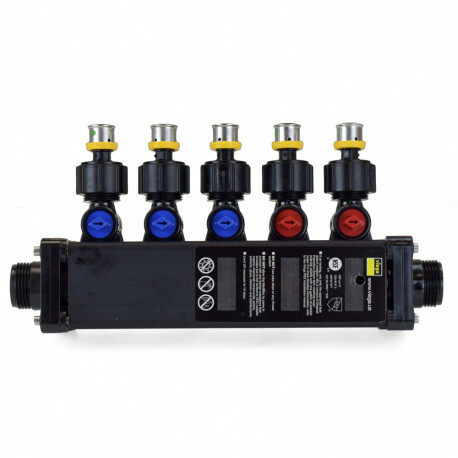 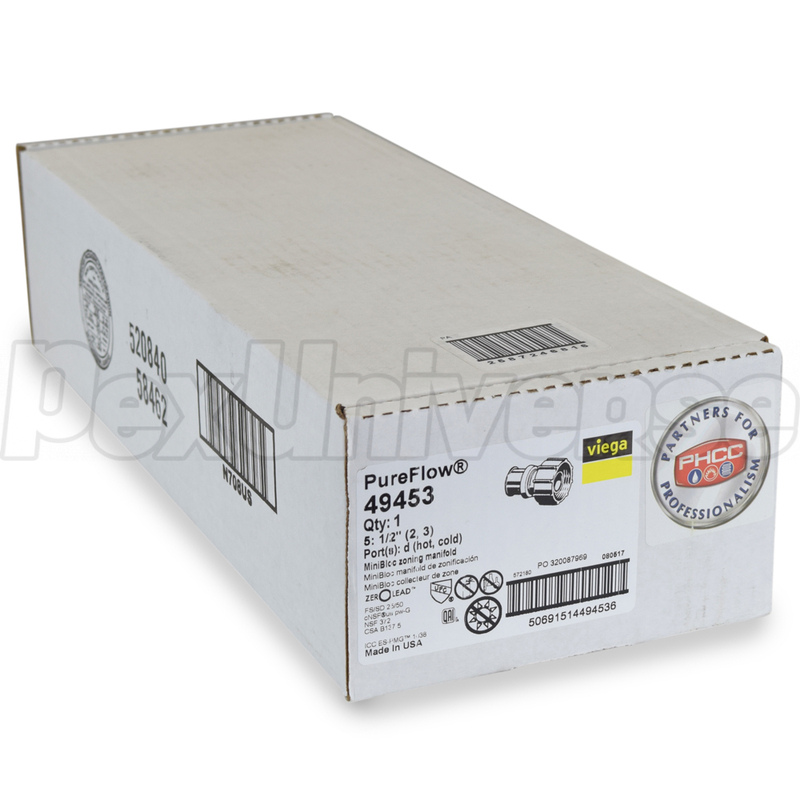 Viega MiniBloc manifold with (5) 1/2" PEX Press ports - (2) hot and (3) cold. 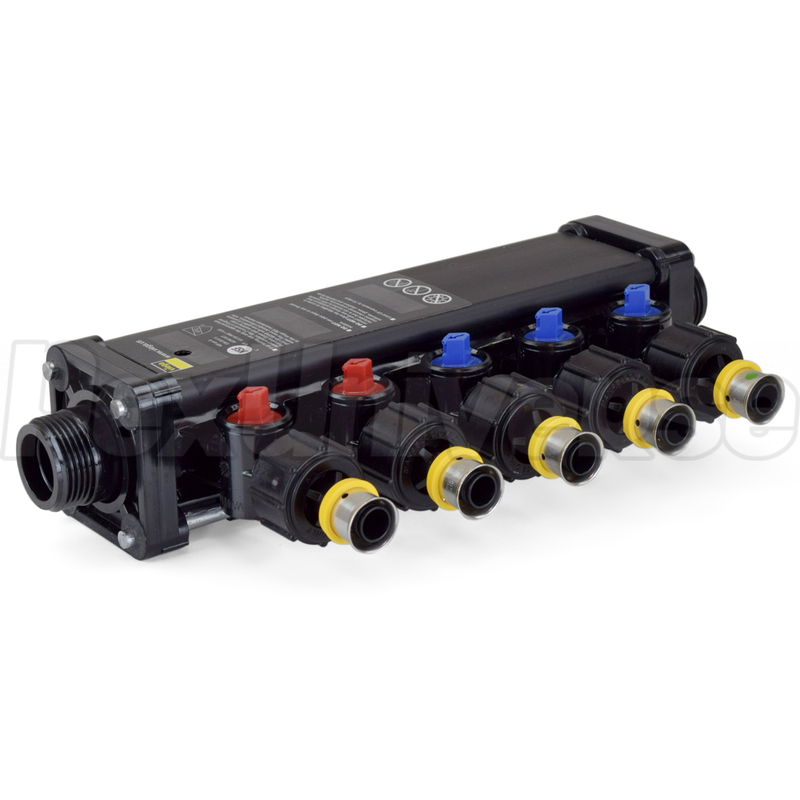 Intended for use with ViegaPEX Ultra (Potable/Non-barrier) and Viega FostaPEX tubing and Press connection method. Also compatible with all other types (A, B, C) and brands of PEX tubing. 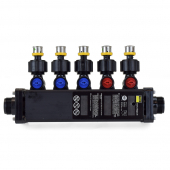 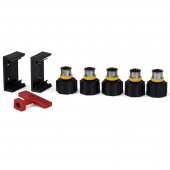 Each port (branch) is equipped with a built-in 1/4 turn shut-off valve for individual fixture control. 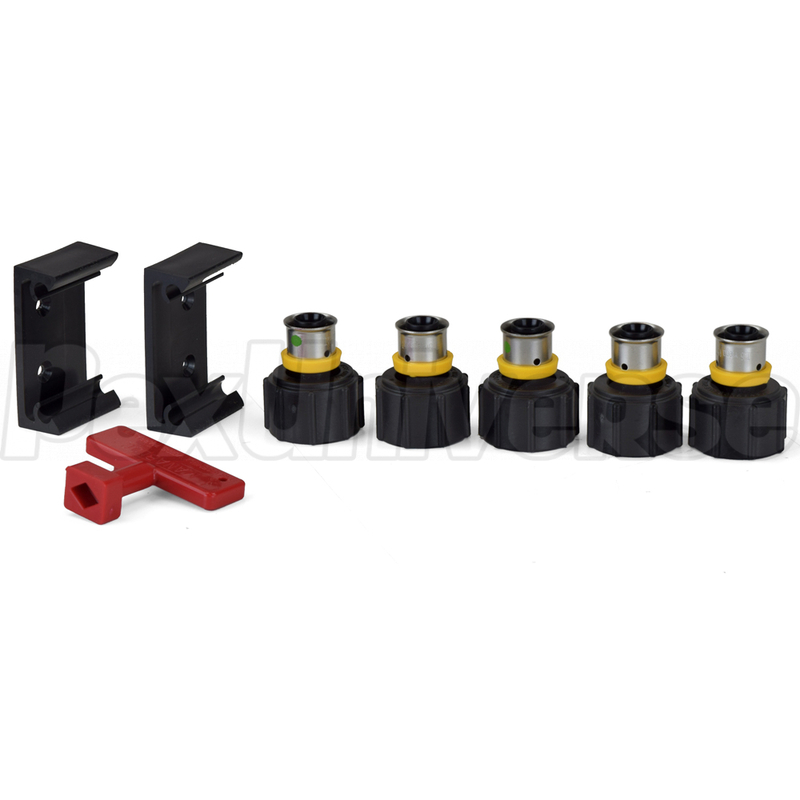 Includes PEX adapters for all ports (branches) and Valve Key.